A beautiful stairway is the focal point of any room and range from simple to grand. The newel posts and balusters are the most prominent features of a staircase and come in many styles. Meanwhile, designers and home remodelers frequently ignore the exposed outside of most staircases. A simple and easy way to add a decorative element to the outside of a stair system is with stair brackets. Stair brackets are installed on the outside edge of each individual stair, and are available in wood or polyurethane. Van Dyke’s has a new collection of polyurethane brackets in many styles from Victorian to more modern. 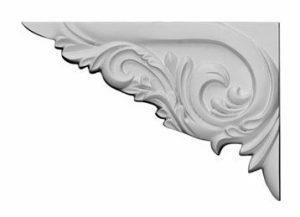 Polyurethane brackets are molded from a high-density urethane that has the same detail as traditional plaster stair bracket products, but will not split or crack like wood and are insect resistant. 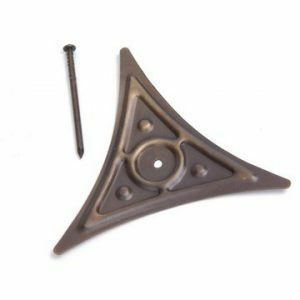 They come factory primed and can be easily installed using standard finishing nails or construction adhesive. 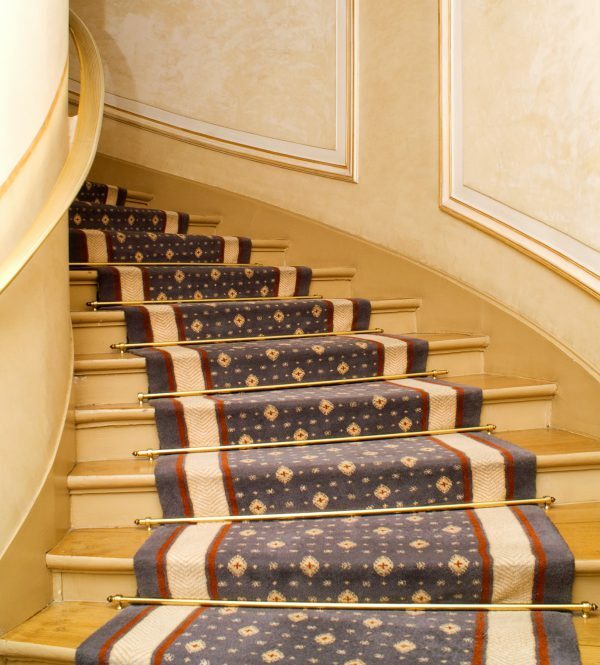 Many staircases feature a carpet runner or full carpeting. 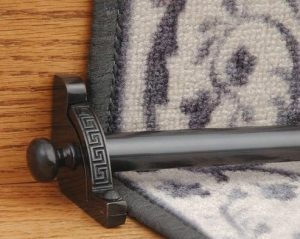 The stair carpet rod and holders are a beautiful way to keep carpets in place on stairways. Made of durable solid brass and finished in a rich bronze finish, these carpet holders are made from classic time-honored designs featuring decorative finials shaped like pineapples, mushrooms, etc. Cleaning staircases can be a daunting task. We have a simple solution to dust accumulation in corners of stairs. Born out of a need to simplify housework back in the 1800 ‘s, solid brass dust corners add an element of Victorian charm and distinction to staircases today. Dust corners make cleaning your stairs a snap! They are installed at the juncture of the tread, riser and skirt board and secured with a single nail. Van Dyke’s offers several styles of dust covers. They are sold in packets of 12. Adding these simple and inexpensive items can dramatically change the look of your stair system.